Slow time, step away from the everyday and be inspired by nature, the seasons, local food, flowers and foliage. International floral designer, Polina Babina of Da Fiori Design and myself have teamed up to bring you RAW and Gather Retreat, a farm-to-table inspired floral and photography retreat for wanderlust creative entrepeneurs and anyone with a love for florals, photography, travel and food. Imagine a retreat in which you will forage for seasonal blooms and foliage in some of the world's most beautiful destinations, create regionally inspired floral arrangements and learn to take stunning photographs of your creations using natural light. Add to that feasting on local culindary delights, sipping local wines and sharing the entire experience with an intimate group of lovely people who share your passions. Dreamy, right? Welcome to RAW and Gather Retreats. 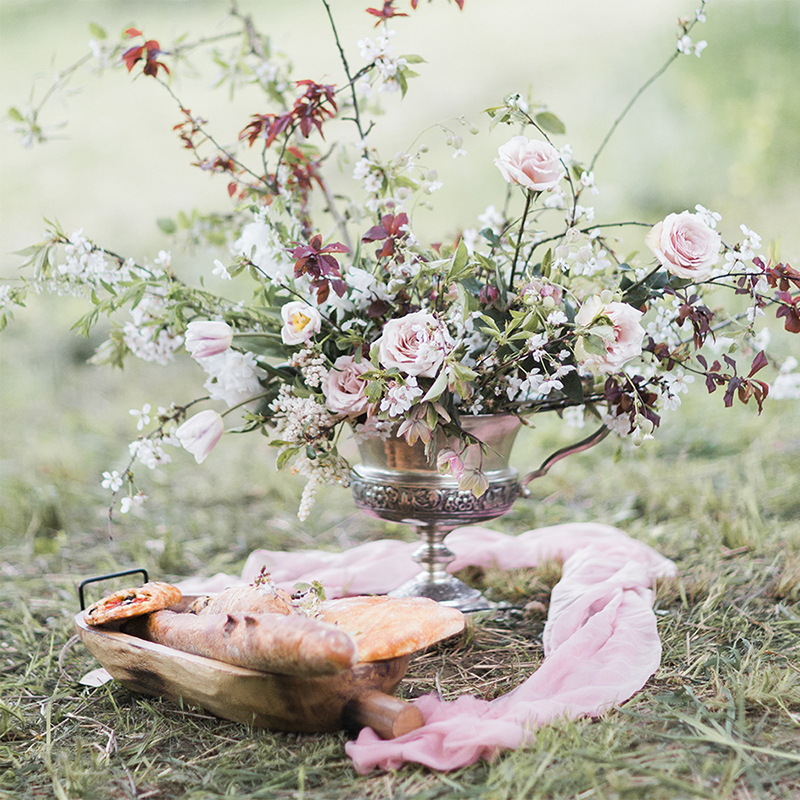 This retreat is for anyone who loves flowers, food, travel and seasonal living and who would like to learn to style and photograph relaxed celebrations. Suited to both the novice enthusiast and experienced florist, students of all levels are welcome to join and expand their floral design skills, learn to create beautiful natural light photographs of their own work for personal or professional use and immerse themselves in the art of slow living. Two RAW and Gather retreats in two incredible destinations are available to choose from for 2019. RAW and Gather Spring 2019 is a one-day intenstive hands on retreat taking place on May 20, 2019 on the rugged Pacific Northwest Coast of British Columbia, Canada, near the beautiful coastal city of Vancouver, BC. Our host for the spring retreat is a family run flower farm and heirloom apple orchard that supplies flower shops and floral designers with the most beautiful and unique blooms. It is located in the heart of the lush Fraser Valley, just 1 & 1/2 hour's drive from the coastal city of Vancouver, BC. RAW and Gather Autumn 2019 is a two-day hands on retreat taking place October 11 and 12, 2019, in the picturesque Loire Valley, France. Our host for the autumn retreat is the beautiful Chateau de la Ruche, an 18th century petit chateau nestled into the unspoilt French countryside near the city of Le Mans, just 1 hour's drive outside of Paris. Hands on floral and photography tuition, all florals, props and materials, professional fine art photographs of your work are all included in both retreats as well as a seasonal, locally sourced and prepared gastronomic feast, served with local wine and all snacks during the days of the retreat are also included. The two-day France retreat includes a one night stay at the beautifully restored Chateau de la Ruche along with an indulgent homemade breakfast of French pastries. Space for these retreats are limited to ensure that there is plenty of time for one-on-one floral and photography tuition from both Polina and myself. Seats for RAW and Gather France (October 11 and 12, 2019) are € 1200 per person for shared accommodation. Contact us to register or for more information!